We offer a wide range of Stainless Steel Hexagon Bushing that is manufactured from quality tested components. 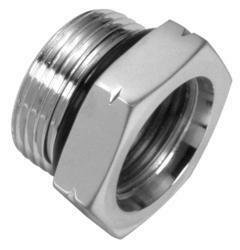 Known for its high quality and durability, these Hastelloy pipe fittings are widely used in various industries across the globe. Brass hexagon reducing bushes with British Standard Pipe Threads. Step by Step Installation diagrams and tooling details for hexagon rivet bushes. Aesteiron Steels is the supplier of Hexagon Bushing. 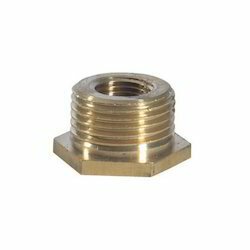 We hold expertise in manufacturing an extensive array of Brass Hexagon Bush. We provide our service with above order of 500 per month. Reckoned as one of the involved companies of the industry, we are extremely immersed in providing Hexagonal Stainless Steel Bush. Sizes and availability for Hexagon Rivet Bush in metric measurements, in Steel and 303 Stainless Steel materials.